1. Reflect on what you have learned from this course, the activities and readings. 2. 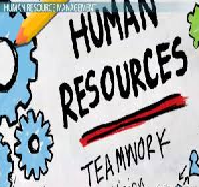 Reflect on how this course has impacted your thoughts on HR Management. 3. What have you gained from this course? 5. How can you apply what you have learned in your professional and personal life? This paper is intended to be a reflection of my learning experiences so far and there is no question that the course has left a deep impact on my critical understanding of human capital as a strategic asset to an organization.